Libby G. MacPhee has served in governance roles of educational institutions for the past 20 years. She graduated with an MSW from the University of Washington School of Social Work in 2018. She obtained her B.A. in Economics from Pomona College in 1986. Currently, she is the Managing Partner of Seattle Family Support, LLC. Regent MacPhee serves on the Board of Pomona College, most recently as a member of the strategic planning committee and co-chair of the College’s capital campaign. In addition, she recently completed service on the Board of Santa Clara University. MacPhee served on the Board of Lakeside School for 15 years and as President for four years. She has enjoyed various roles at the University of Washington, including service on the Carlson Service Leadership Board, the Medical Affairs Development Council, the Tyee Board, and the Campaign for the Student Athlete. Regent MacPhee has been very active in civic activities. 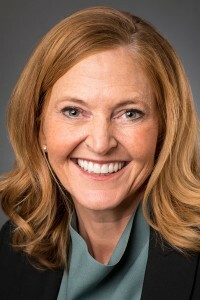 Her community service includes serving on the board of Seattle Children’s Hospital, the Make-A-Wish Foundation, and she currently sits on the board of Seattle Foundation. As a recent graduate from the school of social work, MacPhee is in the process of developing a collaborative counseling practice. The practice will provide strengths-based mental health services to adolescents, adults and families in the Seattle area. Working together to inspire change and growth, the provider team will meet regularly to facilitate a client’s return to emotional wellness. The practice will include both individual and group settings. Regent MacPhee grew up near the University and has been attending Husky sporting events for more than 50 years. She enjoys watching and playing sports and relishes time with her husband and her three young adult children.